If you have a child ages 0-18 months or 3+ years, keep reading. Those are the ages that get modeling work. The terrible twos set in at 18 months; who can blame photographers for not wanting to work with an age group renowned for its tantrums? Very easygoing temperaments. if you’ve got a baby who wakes up smiling from her nap, that’s your perfect baby modeling personality. Small kids. if your child wears his age in clothing size or smaller, and also looks young, that means he can be cast at his age or younger. Physical development is HUGE at this stage of the game; photographers want to work with kids who can follow directions and are generally easier to deal with. Classic good looks. This is a tough one to quantify, but think Gerber baby. Chubby cheeks, big eyes and generally appealing. There is a market for exotic-looking models, particularly multi-ethnic ones, but it’s a smaller category so there is less work to go around. Getting started in the modeling industry takes a lot of time. Open casting calls, last-minute go-sees, this can be a full-time job for a parent. And considering your child only gets paid IF she gets booked, that can often mean two trips; twice the travel expenses. Don’t expect to get rich. Models starting out in the industry typically do editorial spreads for magazines (e.g. not promoting a specific product), which pay about $100/hour for two hours. After the agency takes their cut, you get a check for $120. The real money? In bonuses. Finding your baby’s picture is like the world’s most annoying scavenger hunt. Do NOT expect to get notified where and when your child’s picture gets used. Also? Photographers typically double- or triple-book shoots since they can’t be sure a child will behave; your kid’s picture may not get used. Living in an urban area like Hoboken is like hitting the location jackpot for baby modeling. Most casting calls and shoots take place on the lower west side of Manhattan (easy access via the Lincoln and Holland Tunnels) or at the Toys R Us studios located right up the hill in Union City. IF your baby makes it big, then the next step is film (ie. commercials and movies). That is where the real money is. Twins have a huge advantage. Typically most agencies are given one slot to fill for a commercial, so your kid would have to be ranked #1 in the agency for her age, ethnicity and size to be given the coveted spot. Pay rates increase as your child gets older, doubling after age 5 and tripling when they reach adolescence. Still interested in pursuing a modeling career? Parents Magazine has a great listing of reputable baby modeling agencies. The Metro Moms Network also has a direct line to one of the top US child modeling agencies; FunnyFace Today! From now until December 15, 2011, entry form at http://metromoms.net/?p=545. I have a 4months old son name Kajmil Bivens and I would like to find a baby model agent for him. I want him to be a model. Doing commercial, magazine, fashion in clothing and any other. Hey I’m a mother of a 7month old boy and I need help with the same thing can you help me ? I have a 2 years old baby name Nandini and I would like to find a baby model agent for her, I want him to be a model, Doing commercial, magazine, T.V. advertizing, fashion in clothing and any other. I have a six and a half month old daughter that I would like to get into modeling. I’m from Rhode Island and my child’s name is Julianna. I have a one year old and i would love to put him in modeling . Right when he wakes up he brights up the room with the biggest smile. I have an 19month old name London. She is so bright full of energy and spirit. She loves to dance and make people laugh. Every person we pass by in public, she speaks and says hello to all. I would love see her model and with an Agent. Hsolo i have a six month old baby…and i get told he needs to do baby modeling…he is the perfect baby ever morning he wakes up with a smile and remington loves pictures..thank you for your time. I have a 6 month old son named William Funk, He’s such a happy baby and I think he would do great as a model. I travel to hoboken everyday. Hi I have a 10month old babyboy happy go lucky baby loves the camera very easy going I am looking for a modelling agency. 1 year old ready to go!!!! I have a beautiful baby boy – age 21 months – blonde hair with big blue sparkly eyes. Loves the camera, says cheese, and ready to go. I can’t take my 6 month old baby boy Isaiah anywhere without getting compliments, he is so sweet and adorable! He belongs on the cover of a magazine!!!! Thanks for sharing the great article, glad to hear baby modeling is expanding outside the major metropolitan areas! I have a two year old little girl name Anysha and a three year old little boy name Nuroyea and I would like to get them in modeling acting. They both r good listeners and very talented. You would not be disappointed they are very cute babies and a good size for modeling. I would greatly appreciate it if u can help me find an agency for them. I have a precious 5 month old little girl. She is a happy and good baby. With big bright eyes that will make you melt. Her pictures are priceless. And she think she can talk. My granddaughter is a very happy baby always smiling . She has big brown eyes straight black hair , she just adorable . I have a 6 month old and she is the cuttiest thing ever I want someone to help me get started. Don’t know how to do all this stuff. I think she would do great at this. So if anyone would like to help please do so. Thank you so much. This is the first blog post in a series I’ll do about getting your child into modeling. We try to put our baby girl to a modeling agency- Barbizon , they asked for 2,500$ just to teach my baby and wife how to dress up and open an baby account-outrageous. We are in NJ state, any chance that you can recommend any true agent. I have a 2 year old son. Big smile, blonde hair, blue eyes and dimples. I’d like to get him into child modeling. I have a 6 month old son that smiles on command and is so cute and cheeky! Everyone I meet tells me to put him in modeling including the lady who took his pictures last week because he made he job so easy and got the best pictures. I do not know how to go about doing this and avoiding the whole voting contest stuff because I work full time and do not have time to keep up with social media about that. Peopel say I need to find an agent, Suggestions? No matter where we go someone always points out how cute my daughter Megan is and we have been told countless times that she should be on television! I would love to pursue a career for my daughter in the modeling field. I have a 7 Months old baby name sahanj tariq and I would like to find a baby model agent for him, I want him to be a model, Doing commercial, magazine, T.V. advertizing, fashion in clothing and any other. My baby girl Miley Jaye turned 5 months old today and she should definitely be a baby model! Omg my daughter Aubree is 4 months and she fits all of that to a T !! She always.happy even when she wakes up. She is way smaller she still wears newborn sizes sometimes 3 month size. Andddddd she is mixed interracial with chunky cheeks and big blue eyes.. Everybody says she looks like a doll ! Really want to get her.into baby modeling message me at emilyghunt92@gmail.com if you are intrested to see her!!!! i have a 4monthold daughter, wakes up smiling, goes to sleep smileing, curly black hair, big brown eyes, ear to ear smile, giggly, biracial, just an all around happy baby.! My sweet little biracial sweetheart just lights up any picture. When Chiko giggles, your heart will practically melt. Chiko has darling gray eyes, olive skin, and wonderful wavy red hair. I feel that my bubbly boy would be the perfect candidate for child modeling. My son Samuel, is 10months old. He is happy all the time. Everywhere we go people say he looks like a gerber baby. We are in Portland, Or. Looking to do some baby modeling. We have a baby 1 yr & 5 months old. very cute, attractive with curly hairs and always smiling face. i want to know any agent for modeling tv serials, magazine, commercials adds., etc. etc. pl help me so that i can move ahead. I have a daughter that’s 1 year old. She is very cute, loves taking pictures, smiles a lot. She isn’t bad she doesn’t get cranky unless she is tired. I want to know if there is any agents for modeling for her magazines, commercials etc. Please can you let us know so we can move forward. Thank you and have a blessed day. I have 3 year old twins (one boy, one girl) Can anyone give me advice on Agencies in the the Houston Texas area please? I have a beautiful sixteenth month old boy. He has sandy brown curly hair and blue/grey eyes. Very outgoing personality. Always smiling and in general a happy baby. I would love to get him in some kind of modeling. My name is Ashley pendry. I am the mother of a beautiful baby boy named Liam born feb 12/2013. I believe my son has model potential he is handsome and is an excellent and easy baby. I have had a lot of woman tell me how lucky I am and that I should look into putting him into modeling because of his easy temperament and calmness and his just chill and relaxed way about him, after some research I have decided that I am comfortable with it so I am looking for any help in getting him started. I am in the Maryland area. Please email me with any info you can help and/or give me. Thank you. I have a 7 Months old baby name Khush Kapur and I would like to find a baby model agent for him, I want him to be a model, Doing commercial, magazine, T.V. advertising, fashion in clothing and any other. My 4 month old nephew is very cute. 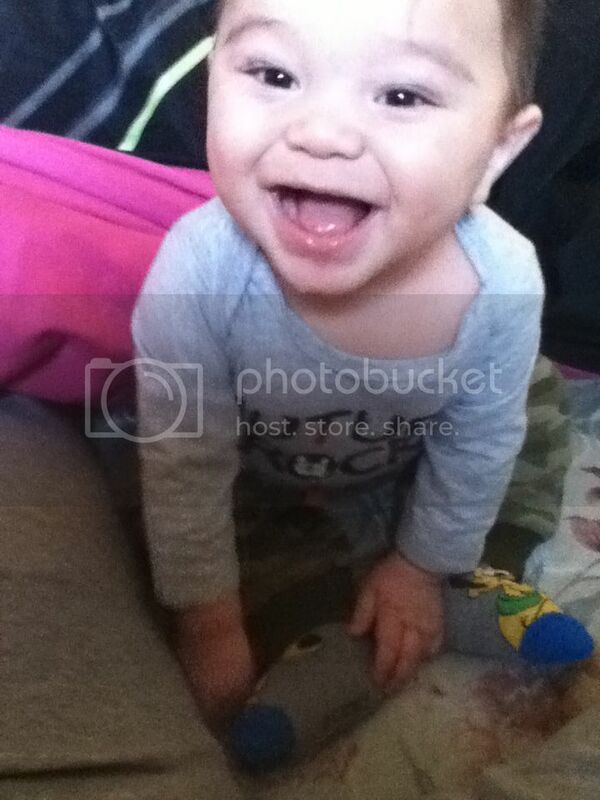 I would like to know, if we can send his pictures for some commercials, baby food pictures or for any clothing line. please let me know whom to contact for such assignments. We have a VERY cute half Korean half Caucasian daughter named Rebecca born December 2013 and we are interested in how she would be able to do some baby modeling for magazines, tv, movies, etc. Please let us know! Thank you! My baby 11 month only . Hello, my name is Angela and i have a 14month old little girl names Emma Grace who is absolutely gorgeous. not only is she beautiful but she has an amazing happy perfect little personality. i am interested in getting her into some modeling because it would be a waste for the world not to see her beautiful face. please contact me if interested. Have a beautiful 3 month old son and I’m interested in modeling for ads, magazine, or commercials. He loves the camera. Hello, my name is Monika and i have a 8month old little girl names kanishka (kittu) who is absolutely gorgeous. not only is she beautiful but she has an amazing happy perfect little personality. i am interested in getting her into some modeling because it would be a waste for the world not to see her beautiful face. please contact me if interested. Hi I have 2 month a baby boy. He is a healthy baby . If you have give a chance for any type of advertising for baby. It’s a great for us to watch him in advertising. My name is Remeika.I have a 13 month old doll baby. Her name is Tamir. And I believe she would be a good prospect for modeling in your company. Hello I have a 3 month old beauty named Olivia and a 7 1/2 year old named Kennedy..they are both exotic and I am very interested in them modeling. Hello my son Tayven is almost 3 years old and has curly brown hair, blue eyes, and an awesome personality. He works great with others and loves the camera. He is chubby and people says he is so cute any angle. I don’t know if its true to them.hehe But mother always inlove in thier babies. And i love my lucas everyday of my life. he is my destiny and he is my everything. Im sorry if im dramatic.hehe-feeling inlove????????? I have a 5 month old nephew in which his mother, grandmother, and I would like to place in early child modeling. He is one of the cutest babies I have ever seen, and people go crazy with him! He is not a fussy baby and is full of smiles and laughter. HI MY NAME IS GAYNOR AND I HAVE A 1 YEAR OLD DAUGHTER HER NAME IS KIYARA AND I AM INTERESTED IN MODELING FOR ADDS, MAGAZINES OR COMMERCIALS SHE JUST LOVE THE CAMERA WAKES UP IN THE MORNING WITH A SMILE ON HER FACE SHE’S JUST SO ADORABLE. Hello, My name is Linda and I have twin grandsons I am raising and would like for them to be considered for modeling or commercials or for movies or tv… modeling in magazines, billboards, advertisements’ or live run way would also be of interest. They are 23 months old and full of energy. They are very photogenic and love to pose for the camera. They also make very cute and sometimes unusual faces. Their names are Demitrie & Daekarie. Please let me know where to get started as to get them into the modeling/advertising industry. Thank You. IM INTERESTED IN GETTING HIM IN TO MODELING FOR COMMERCIALS MAGAZINES FILM ADVERTISEMENTS ETC…. My son VATSAL is almost 2 years old and have curly brown hair, blue eyes, and an awesome personality. He works great with others and loves the camera. He is very photogenic and love to pose for the camera. he also make very cute and sometimes unusual faces. I woould like to apply for modeling or commercials or for movies or tv… modeling in magazines, billboards, advertisements’ or live run way would also be of interest. Please let me know where to get started as to get them into the modeling/advertising industry. Thank You. I have a 7 months old son name Younes and I would like to find to make him appear in magazines and advertisement. I want him to be a model. Doing commercial, magazine, fashion in clothing and any other. Hi, I have a 9 months young daughter, her name is Maryam and I’m interested in getting her into the modeling field. She’s very friendly and have a beautiful smile. Please let me know the process. Thank you. I have a 2 month old daughter CATALINA and i would love to get her in the modeling industry. She is half Hispanic and Indian. Has blue eyes and dark brown hair. She was born prematurely at 4lbs but now is 8lbs so she still looks as if she were a newborn. Hope to hear from an agency thank you!! Hello my son ATHARV is almost 2 years old and have dark brown hair with an awesome personality. He is very friendly and loves the camera. He is very photogenic and love to pose for the camera. He also make very cute and sometimes unusual faces. I m interested in getting him for modeling of commercials magazines, movies, billboards, advertisements or live run way etc. I have 11 month babby my daughter Kristy sudhir sanwaira I want see my babby doing modeling in magzine ads and much more……. Hi am I interested in having my 5 month old son be a baby model. He has chubby checks, big blue eyes, light skin and light brown hair. I would really like to know more about modeling for my son and what I have to do! My son is 3+ i luv to see him in this industry. I have a 4 Month Old Son names Nixon. My baby boy is 2 months old. He’s hispanic descent with dark complexion. Bright black eyes and chubby cheeks. We would travel. I would love a modeling opportunity for my son. Thanks. I have a beautiful 4 year old little girl ready to do this! I have photos ready to be sent or emailed. Hi i have a 1 YEAR old who name is Elijah who has a personality that is fun cute and out going he loves kids and people i would love to see how he does in modeling bc he’s cute with bright eyes and curly hair Thank you! Hi I have a gorgeous 2 year old that would be perfect for commercials how do i get him in? My Name is Smita Namdeo i want to started my 2 year old baby boy in molding field. This is a long shot… My daughter Adeline is 11 months and will b 1 sept 4, 2015. I’m interested in finding a small gig for her. I see potential in her during her photo shoot when we get her pics taken. She is a happy baby who is walking ” slowly”, she crawls, has seven teeth, playful, enertic and most of all smiles smiles smiles.. The contents are masterwork. you have done a wonderful process in this topic! I have a five month old .I live in Indiana she is the happiest, prettiest baby and I would love to find an angency for her. I have a five month old little girl, she is the happiest, prettiest baby. And I would like to know of any agencies in the Indiana area. Hi my name is shariefa my brothers 8month old baby girl is a very photogenic baby likes to take pictures so we want her to pouse in magazines so i would like any agencies thats looking for baby talent she is deffintly the one . Why always tell the people thatit only became a fan after that? I do not unreastdnd?the people have now realized what a human michaeland now are very sad about it! I’m with michaels musicI grew up and has long been a fan! but I do not think badthat the people have become fans after his deathI think it is indeed sad but now people can see whatfor a wonderful man he was meant to helpI LOVE YOU MICHAEL! We are from south africa in gauteng. I have a 2yrs &6months old daughter her name is boikgantsho and I would like to find a baby model agent for her, she likes camera too much and she knows how to pose, I want her to be a model, Doing commercial, magazine, T.V. advertising, fashion in clothing and any other. Hi ,i am from india.my baby is 2 year old.he is so cute so ples give some advertisement activity. I have a 18 month old boy that’s to die for everyone we meet says he should b in modeling but I can not find anyone that doesn’t ask for entry fees without promises of being booked. We live in Kansas do u know where to start or where to sign him up? Parsa is a 15 month tall boy with brown eyes and long eyelashes. As every body says he’s hunky and cute , he wants to try modeling. I have a 6 yeR old daughter that is beautiful and loves being in front of cameras.She has dirty blonde hair and bright blue eyes! She loves taking pictures and posing for cameras.Everyone always says I need to put her in modeling because she has an amazing personality and is just beautiful! Please help me get her into some modeling asap you will not be disappointed! Hi..i m from india my son 6month old..he is so cute..and his smile is so nice and sweet…plz give him a chanse… I want to work with u and ur advertisements… Thanx.. I have twin boys who are almost 13 months and would love to get them into some modeling. Hello I’m from Detroit Michigan and I have a 8 month old daughter and I’m looking for modeling and commercials that she can intend. Hi, I am from Fort Myers, FL and I have beautiful two year old boy that has great curly hair and beautiful eyes. I want him to model and do commercial. Please call me at 239-849-7065. I have a 6mos old baby boy who has a great personality and would be great for modeling. Big dark brown eyes and lots of brown hair. Hello there! my baby boy is 8 months old, he is very cute and easygoing . We live in Brooklyn and I want Nikolas to become a model and commercial, movie actor later on. I have a 8 years old baby boy name Aarav and I would like to find an advertisement for my son, I want him to be a model, Doing commercial, magazine, T.V. advertizing, fashion in clothing and any other. I live in Northern New Jersey. I have 7 month old twin girls! They appeared on their first tv show at 3 months old. We are now on our 3rd gig which is a reoccurring role in another tv show comedy. I had it set in my mind when I was pregnant this was something I was interested in doing. You need a lot of availability and determination If this is something you want to do! It is totally possible. Search agencies in your area and submit photo and information about the child. THEY WILL get back to you if interested. FYI, it’s not all glitz and glamour, it’s a job and at times very stressful. remember to have fun and don’t be overwhelmed- it’s not for everyone. Hi i m a mom of a 2yrs old baby boy..he is so charming ,active and cute baby. I want him to be a model,Doing commercial, magazine, T.V. advertizing, fashion in clothing and any other. Hi I have my 2 boys, one is about to be 6 months his name is Luis & my other is 18 months named Jayden. Ever since Jayden was smaller, a lot of people would tell me to go look and see where I could put him as a model that he is very cute but I never listened or tried. I would love for either of them to be in magazines, tv advertising, commercials, clothing fashion etc. We are in San Diego area. I wants my daughter should be a child model ,she is very cute . My doughter is 4 year old ,she is very cute ,and every person who show her tell that we should try to make her child model can guide me? How to make her child model. Hi I have a 2months daughter i would like her to do commercial, tv advertising,magazines and fashion in clothing. Hiii! I have a 5 month old baby boy, with a BIG personality. I get stopped everywhere I go. Family and Friends always tell me I should put my son in modeling. I want to know where and how I can get started! If anyone knows? He has big brown eyes, long eyelashes (his eyes speak for themselves) lots of hair and the perfect little smile! Please help! Thank you!